Smartphones have taken the place of watches for many entrepreneurs, but using them as a timepiece has its drawbacks. Checking the time on your smartphone is a lot more obvious (and rude) than taking a subtle glance at your wrist, and you don’t have to worry about a dead smartphone battery keeping you in the dark about what time it is. Breed makes a wide variety of wristwatches for every style—here are the ones that deserve a spot on your wrist. This watch’s eye-catching style helps you stand out from the crowd without overpowering your look. The Japanese quartz movement components are built to last, and the watch’s luminous hands add visibility when you’re headed out in the evening after a late night at the office. 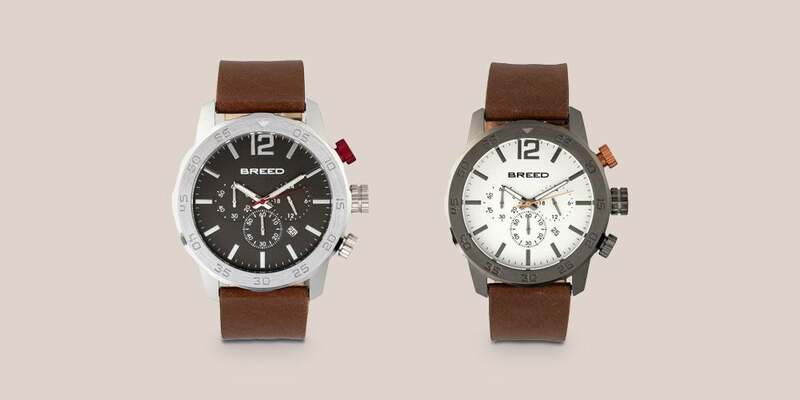 Brushed alloy and genuine leather come together in this watch for a modern vibe. In addition to telling the time, it also comes with a date display and a 24-hour sub-dial. This watch’s tough good looks and 5 ATM water resistance make it a solid choice for everyday wear. 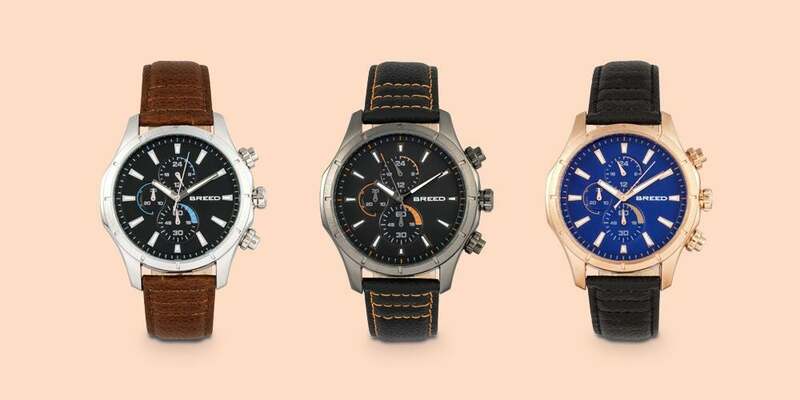 If you’re hunting for a sportier watch, the Rio is calling your name. The streamlined design is engineered for an active lifestyle. 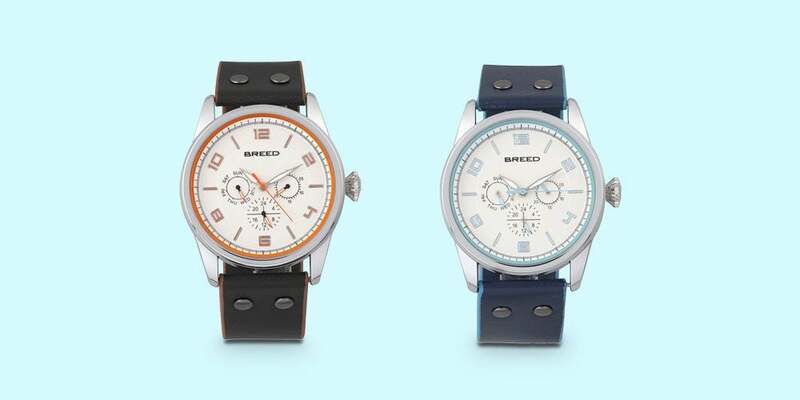 It has the same genuine leather band and high-end Japanese quartz components as Breed’s other options, but the striking orange highlights and 5 ATM water resistance rating make it suited for everyday wear, too. The Tempe fits in perfectly with casual Friday. The rustic leather band makes a striking contrast against jeans, a casual blazer or a mahogany belt, while the octagon case lends a modern air to this classic timepiece. Functionality meets classic style in this wristwatch. The leather band comes in black and brown options, so it’ll match anything in your closet. 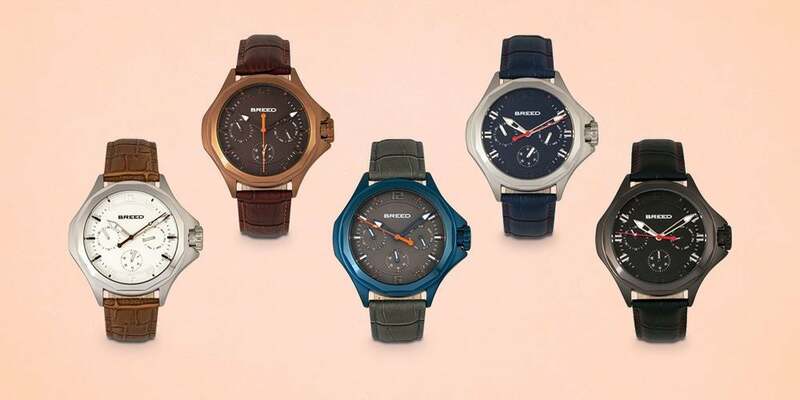 The luminous hands and markers make it easy to view the time at any point during the day or night, and there’s a style for everyone thanks to the Gunmetal and Rose Gold color choices.